Hunnie Bingo is a new addition to the Live Bingo Network. Operated by Cozy Games, the site has got off to a great start and is already proving popular with players. A shocking pink colour scheme and animated girly characters bring Hunnie Bingo to life. The site is actually pretty easy on the eye and is very simple to navigate. There’s a friendly atmosphere and customers are encouraged to feel at home and invite their friends in to play. All your bingo needs are met here with a varied selection of 30-, 50-, 75-, 80- and 90-ball games available to play. Tickets start from 2p each. You’ll also find over 50 slots including Temple of Isis, Sugar Train, Fluffy Favourites and Irish Luck. Fans of table games should be content with the selection of Keno, Blackjack, Deuces Wild and Tens or Better. 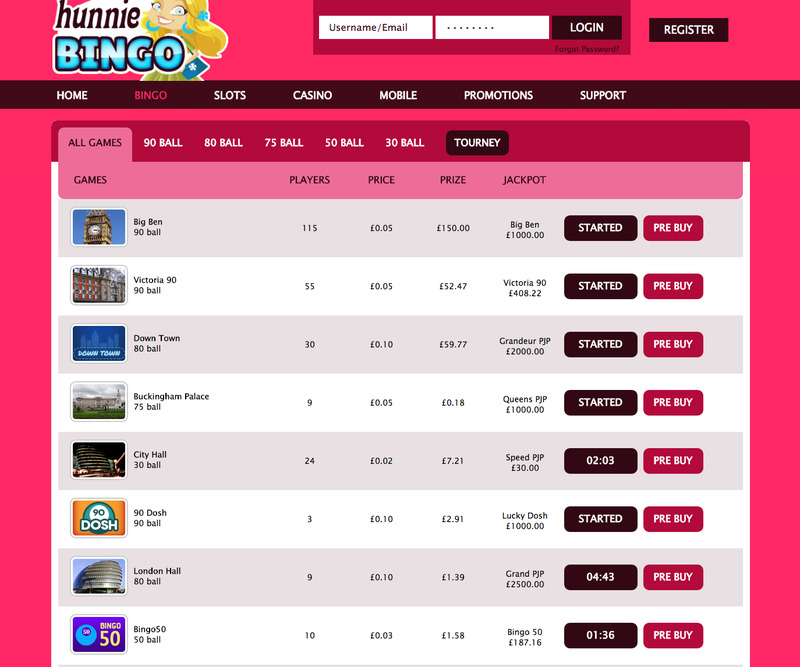 Hunnie Bingo has made over 100 games available for mobile play through its website. All you need to do is log into the site as normal with no need to download an app.